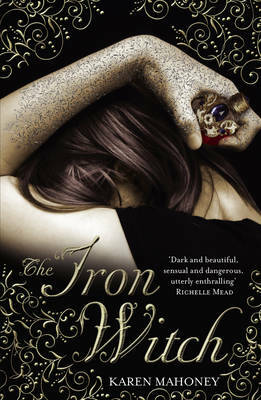 The Iron Witch is one of special books that you’ll remember forever, and will read many times over again. After receiving it last week I have already read it three times and every time I love it. It is a brand new Faerie book and it has experimented into a new subsection of the Genre of Faerie and has already become equal with my other favourite Faerie book: Need. And that’s just some words. To be honest the book totally blew me away. I have to admit, it wasn’t what I expected but that’s a good thing because nonetheless I adored it. It’s such a wonderful and magical book woven together with care and beauty. The book was fantastically written. There was so much detail yet it didn’t drone on, as it is a relatively short book. I have to say out of all the books I have read this month it is the best paced. And the other thing is that it is very well balanced. Not too much action but then not too much romance. It’s balanced until you get to the last couple of chapters which are complete action but hey, who does love a god old magical fight, and even then there was the love side to it, with the Capturing of Navin and all. The book is a thriller ride. I loved the events but in some parts I have to admit Donna was a bit dumb, because like within a few chapters of the makers saying he was experimenting with goblins I’d figured it was a shape shifter but Donna didn’t until the end. My favourite character was Navin. Very quirky but a friendly person and one thing I picked up on was Loyal. Like a Puppy. One thing that did confuse me though was whether Navin had feelings for Donna. He didn’t seem to say it upfront but he seemed to get jealous. He obviously likes Donna more than she likes back. The book is a wonderful one. A magical one that I enjoyed to my heart’s content but not long before number two!!! Can-not wait for the Wood Queen to be released.